Generation Storm is a mentoring programme that supports young women from the care system make positive transitions into education, work or training. We provide young women aged 16 – 21 with a range of skills that challenge and inspire them to think positively about their future through weekly fitness, health and well-being sessions and mentoring. Generation Storm delivers weekly sessions for 20 young women in Lambeth, London. Young women aged 16 – 21 from the care system. Weekly sessions of sport and youth work help to build a relationship of trust. The young women are then matched up with professional women from a range of backgrounds, professions and experiences as their mentors. Mentors provide 10 one to one sessions to help the young women create 12 month personal development plans. Girls Win uses sport to help young women with a disability set short, medium and long term goals. It empowers young women to think more positively about their future, how goal setting can develop their prospects for the future and engages young women in activities that keep the body and mind healthy to adopt a growth mind-set. Girls Win delivers weekly sessions for 50 girls and young women across London. Young women aged 11 – 21 with a disability. 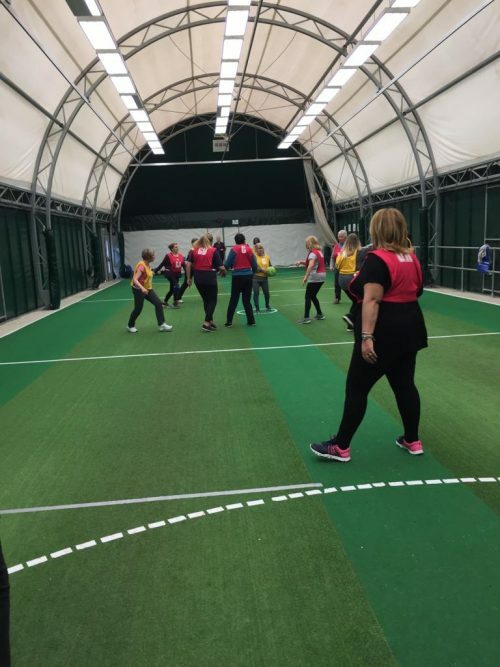 Weekly sessions that combine a range of sports and dance genres with goal setting workshops, peer support group discussion and a physical challenge that will increase the confidence, independence and expand friendship networks to reduce social isolation of young women with a disability. Dance 4 Change helps 60 extraordinary young women from the care system to develop a sense of identity, discover a new support network and make positive transitions into adulthood. Dance 4 Change has two dance clubs in Islington and Hammersmith in London. Young women aged 16-24 from the care system. Dance 4 Change young women are provided with three terms of dance classes with mentoring and at the end of each term they take part in a public performance. After three terms they are given one to one progression support as they transition into work, training or education opportunities. Netball 4 Change is a programme that uses the rules and the game of netball to teach girls and young women how to stay safe on social media. It empowers them to think more positively about their social graph, how it can affect their prospects for the future and raises awareness of negative social influences. Netball 4 Change delivers programmes for schools and community groups in at-risk areas of London and Newcastle. Netball 4 Change works with marginalised girls and young women aged 13 – 17 who are using and/or highly exposed to social media platforms for more than 3 hours a day. Reduce the feeling of being under pressure to be ‘on fleek’. Improve young women and girls understanding of a positive social graph. Raise awareness of the ‘clickbait’ culture. Netball 4 Change also provides 3 tournaments a year to reconnect with the young women on the programme, track their social graphs and celebrate their achievements. Our partners the Media Trust will provide a bespoke workshop for each group on how to improve their social graph to help with their future employment. London Futures is an employability programme for young Londoners with learning disabilities and mental health problems, facing social isolation and loneliness. Using sport and specialised mentoring, these young Londoners unite to compete in employability challenges to improve their career aspirations and become more integrated in their communities. London Futures delivers in 4 hubs covering North, South, East and West London working with 50 young adults each year. Young adults 18 – 25 with a learning disability and mental health problems. Young Londoners will take part in weekly sports activities to reduce anxiety, stress and associated conditions. Young Londoners will gain weekly mentoring from coach mentors with lived experience who will advise and guide each young Londoners through the programme. Young Londoners will take part in 10 employability challenges and compete as a team against the other London hubs. Our award-winning Street Elite programme which has engaged 305 young people on the edges of gangs and crime across London over the last 5 years, helping 244 transitions from NEET (not in education, employment or training) into work, apprenticeships, training or education opportunities. In 2016 Street Elite was the winner of two awards. Street Elite delivers 3 prevention academies and 3 intervention cohorts across London. Young people aged 13 – 24 at-risk of or on the edges of gangs and crime. Street Elite prevention academies are weekly sessions for 14 weeks that combine sport and skills for work. Young people are also provided with placements, industry speakers and mentoring. Street Elite intervention cohorts are delivered in five phases; ‘On The Street’ recruitment of young people involved in gangs and crime, 15 weeks of training for work through sport, 10 weeks of community engagement delivering sports sessions to children on local housing estates, two week work placements and then into employment, training or education. Team Habana develops the next generation of young leaders through the values of rugby, using the philosophies of Rugby World Cup winning Springbok legend Bryan Habana. Team Habana increases young people’s confidence and competence in a range of leadership behaviours for them to fully discover their leadership potential. This provides them with the tools to ‘give back’ 100 hours of volunteering in their communities by delivering or implementing their own leadership ideas. Team Habana has two cohorts of 7 young leaders in London and Cape Town. Young people aged 16 – 21 from disadvantaged communities. Team Habana leaders are given group leadership training, one to one project development support, mentoring and take part in a leadership residential retreat. The Refugee Cricket Project works with young refugees and child asylum seekers providing them with a safe space to integrate into their new environment, gain advocacy support and help them develop a sense of home from home. The Refugee Cricket Project is delivers an open access weekly session on Wednesdays at The Change Foundation headquarters in London. Young refugees who came to the UK by themselves as children. 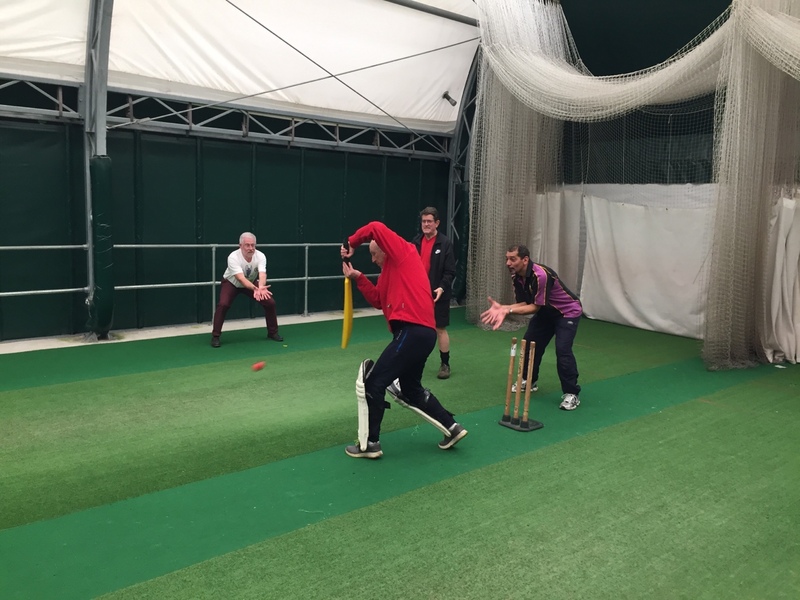 We provide weekly cricket sessions inclusive of one to one advocacy support and safe social space for refugee groups in the UK. There is also an annual Refugee Premier League cricket tournament hosted at Lord’s Cricket Ground which is a platform for celebration and awareness of the issues these young people face. Rugby 4 Change provides rehabilitation for ex-offenders and helps to rebuild character through the values of the game. Rugby becomes an opportunity for each individual, where they use the session to break from routine to focus on physical and mental well-being. Though young people look at becoming fitter, stronger and faster, ultimately Rugby 4 Change equips ex-offenders to be tough enough to face the mental challenges in life. Rugby 4 Change delivers weekly sessions in HM Belmarsh Prison in London. Young male ex-offenders aged 18 – 25. ‘Behind the gates’ Rugby 4 Change trains young males ex-offenders by using rugby to imbed the rehabilitation process in the following pathways to reduce reoffending; attitudes, thinking and behaviour, education, training and employment and health. ‘Through the gates’ Rugby 4 Change provides weekly drop-in service on release so ex-offenders can gain additional mentoring while integrating back into their communities. Graeme acted as a guide and mentor to our coaches and to our management team and he was instrumental in giving us the focus and self-belief to use rugby, the game he loved, to make a lasting difference in the lives of some of our most marginalised young people. The idea for the Graeme Porteous Scholarship came from Graeme’s friends and family who wanted a way for his name to continue to be part of the charity that meant so much to him following his tragic death in a skiing accident in 2016. The Scholarship aims to support young people who have either made some mistakes in their lives and are now ready to take a more positive path with support from The Change Foundation’s coach mentors or who are facing major challenges and need extra support to help them achieve their potential. The core of this support is regular, on-going mentoring by one of the senior Change Foundation Coach Mentors for a minimum period of one year and often longer. This is likely to take the form of regular one-on-one meetings as well as ongoing communication and support by phone, email, text message and other social media. It will also include practical support such as the purchase of a suit and other smart clothing for job interviews and work placements, the purchase of specialist clothing or equipment for certain vocational roles and help with work based travel expenses. Our current Graeme Porteous Scholars are Abel Paintsil and Tariq Musa-Reid who as well as showing great leadership abilities with their peers are also both very promising rugby players. Boxing for Change uses the power of Boxing to provide long-term mentoring and support, focused on reducing social isolation, improving health and fitness and obtaining coaching qualifications that will secure training and employment in the boxing and fitness industries. Thank you to the Post Code Lottery for their support for this programme. Boxing 4 Change delivers weekly sessions in Tower Hamlets. Vulnerable young Londoners aged 16 – 21 , who have been in involved with gangs, crime and who may have an accompanying mental health need. Boxing 4 Change will support young people who have been involved in crime & anti-social activity to develop the confidence, skills, attitudes & behaviours that are necessary to achieve in learning, finding a job, remain in work & make successful careers and succeed in their lives. In partnership with the Indian charity Magic Bus The Change Foundation deliver a disability cricket programme in Mumbai, India called Hit the Top. The programme aims to engage young people with a disability who are at risk from social isolation and lifelong underachievement. Using cricket as the hook, we engage young people living in Mumbai and take them on a journey of self-development that involves: playing cricket regularly, belonging to a team and expanding friendship networks, changing attitudes and behaviour, activity related learning that develop life skills. In partnership with the Bryan Habana Foundation The Change Foundation work with young leaders in Cape Town, South Africa on South African rugby legend Bryan Habana’s youth leadership programme Team Habana. Team Habana is a programme for aspiring young leaders aged 16 – 21 in deprived communities in need of an opportunity to help them discover their leadership potential through the power of rugby. These young people are provided with a one year extraordinary experience of training, mentoring and skills development and will return to their communities equipped to act as a beacon of hope to other young people by sharing their knowledge and experiences of Team Habana. The Change Foundation set up the England Blind Cricket Team and coached the team for ten years. The charity was also instrumental in setting up the governing body of the sport – the World Blind Cricket Council – and in creating blind cricket programmes across Africa and the Caribbean. The development of blind cricket in the UK and across the world in the 1990s helped pioneer disability sport, created greater awareness of the talents of people with a visual impairment and empowered visually impaired children and adults to think differently about what they could achieve. The Change Foundation’s visually impaired coaches and players have now turned their development expertise towards visually impaired (VI) rugby and over the last two years, with help from founding VI Rugby Ambassadors, Andy Robinson OBE and current Italian International player, Ian McKinley, have developed the rules of the game – a seven-a-side touch version with uncontested scrums and line outs, written the coaching and officiating guidelines and created an adapted ball which makes a noise to help players locate it when it’s moving. 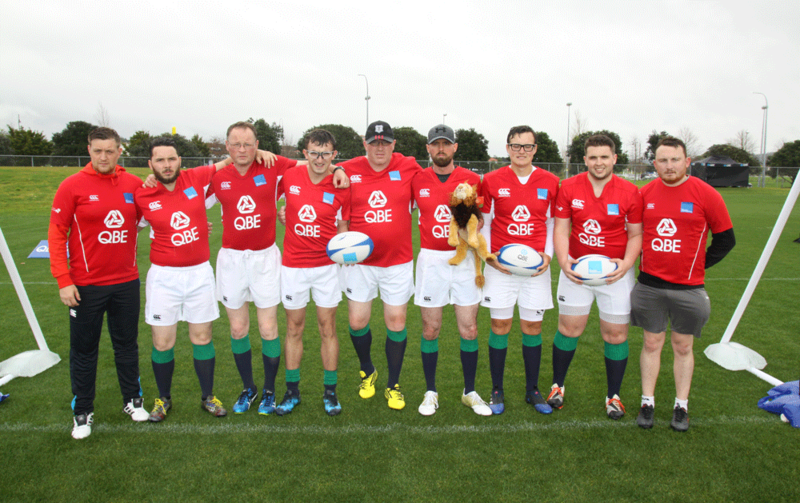 They also set up the first blind rugby team in London in partnership with Harlequins and launched the game with a three match series between the ‘Blind Lions’ and ‘Blind Blacks’ in New Zealand during the British and Irish Lions tour in 2017. The game is based around the Rugby 7’s touch format of the game. This allows the game to be safe and accessible. The game-play takes into consideration a wide range of sight conditions whilst maintaining the fundamental codes, laws and spectacle of rugby to both the players and spectators. Working with Gilbert we have developed a ball that makes a sound when travelling in the hand and when in the air. Filled with bells, this generates the noise to help the players hear the ball when it’s moving. Whilst players are able to keep track of the location of the ball due to its sound, one of the key aims for coaches involved is to ensure there is a well developed verbal communication system amongst players. This will allow them to perform to the highest possible standard. When touched, the player in possession must place the ball on the ground at the exact point of the touch. Play is re-started by stepping over the ball. We are currently delivering VI rugby sessions in partnership with the Harlequins Foundation. VI rugby is always looking for new people or companies to be part of the family with fantastic sponsorship opportunities. If this is something you would like to get involved in then please do get in touch! In partnership with UK charity Muslim Hands The Change Foundation provide training for young sports leaders in how to use sport to provide psycho-social support to Syrian refugee children who have suffered dislocation and trauma. This type of programme is unique in Lebanon and is delivered through Muslim Hand’s network of local NGOs who they fund to provide these programmes and the delivery of food parcels. Our training programme for leaders in the camps involves games and exercises using football, basketball, cricket and rugby. The sport provides the framework through which we create sharing and learning experiences for children and young people. In partnership with Euroleague’s community project, One Team that provides all clubs across Europe with a methodology to “use the power of basketball to integrate communities”. For their annual training The Change Foundation provided skills and insight on using basketball to tackle social issues such as inclusivity, barriers for women and girls, disability awareness and innovative teaching methods through sport. The Change Foundation trained 65 participants empowering them to deliver social messages through sport. 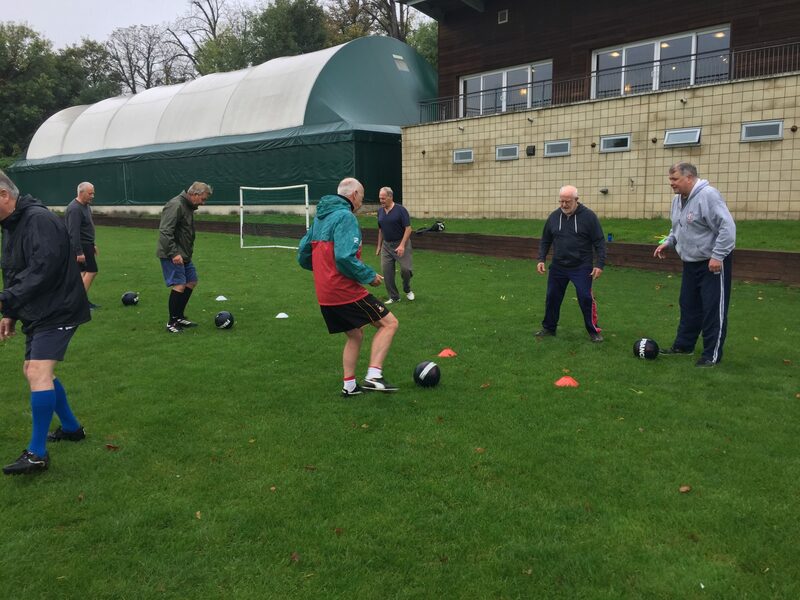 Walking football takes place at the Cricket Centre in Wallington on Wednesdays between 10.15am and 11.30am and is followed by tea, coffee and an opportunity to chat and get to know everyone. We welcome all aged over 55 (men and women). Walking football is a slower version of football. The sessions have been designed to encourage communication and friendships in the group. From time to time matches are arranged against other teams and other social events such as a quiz and social evenings are planned. We encourage players to stay after the session to relax and socialise with their team mates and learn more about the opportunities at the centre, as well as in the local area. Sessions are run by Martin who is an experienced Level 3 coach. He starts sessions with simple fun warm up exercises to improve passing skills etc and then moves on to game based situations and finishes with a match. The session is suitable for beginners as well as those who have played football. We play outside if dry (so it can be helpful to wear football boots in winter). Trainers are fine in summer. We are extremely grateful to The National Lottery Awards for all who have very generously given us funding to support this project. Following the success of Walking Football we have started Walking Cricket sessions on Mondays 10am until 11.30am followed by tea, coffee and a chat. The sessions are fun and active and use cricket skills to improve fitness. We encourage players to stay for tea and a chat afterwards to relax and socialise with team mates, learning about more opportunities at the centre, as well as the local area. No previous cricket experience is necessary. All equipment is provided and we play with a soft ball. Sessions are run by an experienced cricket coach Mark and will begin with warm up games and then a fun match. We are extremely grateful to the Sutton Community Fund who have generously given us funding to support this project . Walking Netball is a slowed down version of the game of netball. Every session contains a fun gentle warm up and a game of netball. Everyone then stays for a chat and tea and coffee. Its great fun and suitable for all ages, shapes and sizes . Beginners are very welcome indeed. You just need to wear trainers. We play inside on an astroturf surface. Cost £4 includes tea and coffee.